Are you in a regulated industry like finance or healthcare? Do you need to protect confidential user information? You might be obligated to encrypt outbound email to meet compliance regulations such as GDPR, FINRA, SOX, GLBA, HIPAA, or others. As a critical piece of your company’s overall privacy strategy, encryption is a powerful tool that helps you monitor email content, identify confidential information that’s leaving your company, and track where it is being distributed. 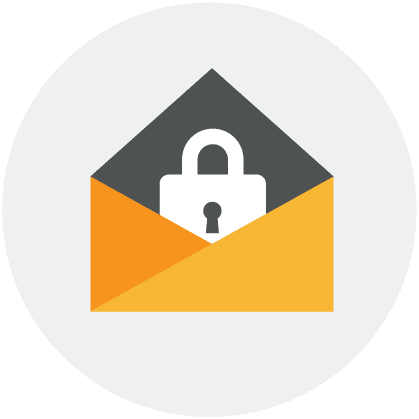 With Email Encryption from Intermedia, you can find the right balance between ease-of-use and control to satisfy users, admins and compliance officers. Help facilitate compliance with GDPR, HIPAA, FINRA and other regulations with pre-defined, industry templates. The product is exemplary, and the service is 100%.